Located in northwestern Wyoming, Grand Teton National Park just right on the south of Yellowstone National Park, where protects stunning mountain scenery and a diverse array of wildlife. The park is named after the Grand Teton, which at 4197 m, is the tallest mountain in the Teton Range. Personally, I like the scene in Grand Teton better than Yellow Stone. 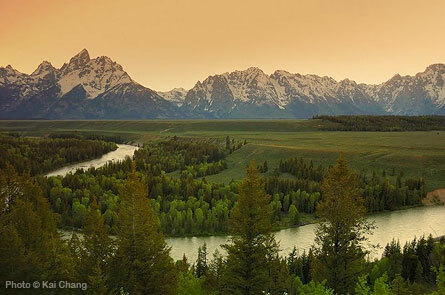 Since the beautiful Teton Range is located on the western side of the park, the ray from sunrise paints the sky and mountains in wide range of golden color, while the sunset generates the silhouette scene, are the magical moments to behold. Here are some selected photos I took in Grand Teton National Park. 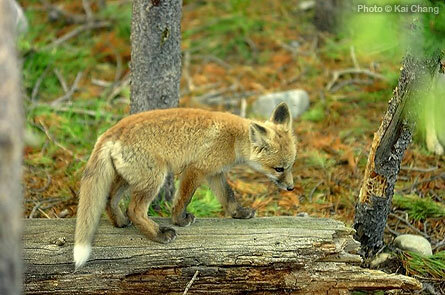 The wild red fox family is probably the most interesting capture during the trip.